VANCOUVER — Heavy rains over the past few days, along with melting snow in the foothills, has led to area flooding, especially along the Oregon Coast and south of the Portland-metro area. On Thursday afternoon the Columbia River at Vancouver was at 15.30 feet, which is considered “action” level, but below the mild flood stage. 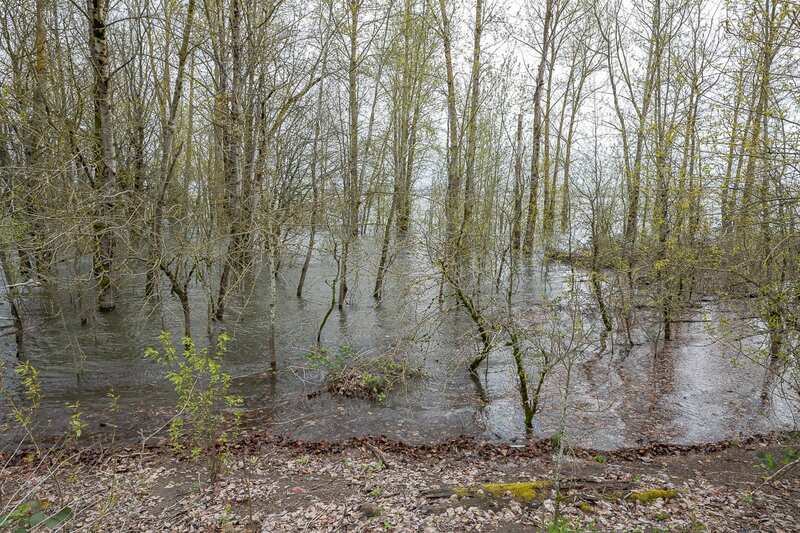 The National Weather Service in Portland forecasts the river has crested and will begin to drop over the coming days. 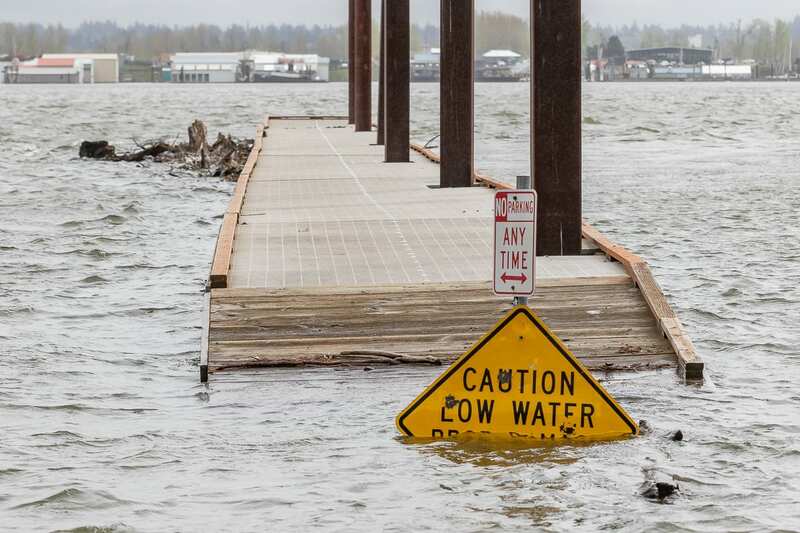 The last time the Columbia was this high was in 2017 when it reached 17.6 feet, topping its banks along part of the Vancouver waterfront and damaging several trails. The most recent severe flood was in 1996, when the Columbia reached 27.2 feet, causing $25 million in damage to businesses and infrastructure, especially along Columbia Street. The Lewis River in Woodland was measured at just over 17 feet on Thursday, but that’s well below flood stage of around 24 feet. 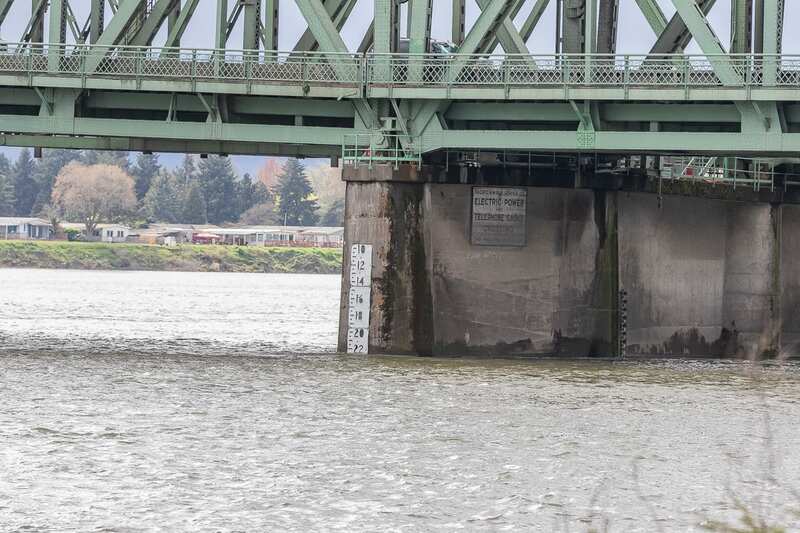 David Bishop, a meteorologist with the National Weather Service in Portland said things could be worse on the Columbia and Willamette without the intricate series of dams and levees maintained by the Army Corps of Engineers and U.S. Forest Management. Even as river levels begin to decrease, Bishop says it may not be a good time to take your boat out. April has been an especially wet month this year, says Bishop. Through Wednesday the Weather Service has recorded 2.29 inches of rain at PDX. That’s 1.30 inches above normal for this far into the month. In fact, the total average rainfall for all of April is 3.40 inches. With more rain forecast through the weekend and into next week, it’s highly probable we’ll surpass the monthly average before we’re halfway through the month. Bishop says it’s not so much the amount of rainfall we’ve received that is leading to high river levels as it is the type of rainfall. Spring showers tend to be brief but heavy, which can lead to more runoff into streams and tributaries. An inch of light rain spread evenly over 24 hours can result in much different river conditions compared to an inch of rain in bursts over 24 hours.